The proper function of the feed pump is essential for the filling of the in-line injection pump and hence the engine runs smoothly, and the full power of the engine. Age and mileage-related the feed pump wears in both the diesel and the veggie oil use. 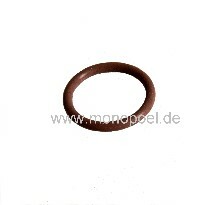 The valves exhaust, the spring tension decreases and the seals shrink. It is recommended to use Viton seals if you overhaul the feed pump, because they are more durable and resistant to all fuels.